The Thunder Child was created as a result of an extensive research to find an answer to our search for “the one guitar” approach and “less is more” philosophy. find yourself buying one guitar after the other trying to find the “one guitar” that will leave you speechless. 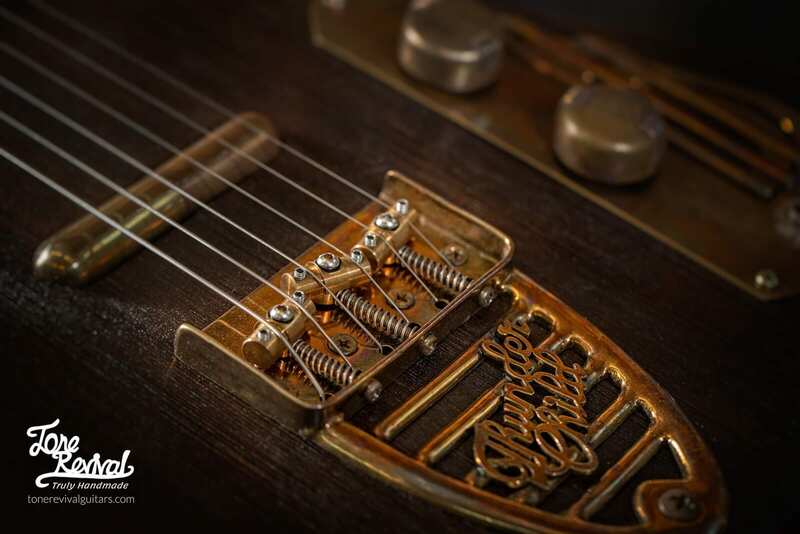 A masterpiece of tone and craftsmanship. 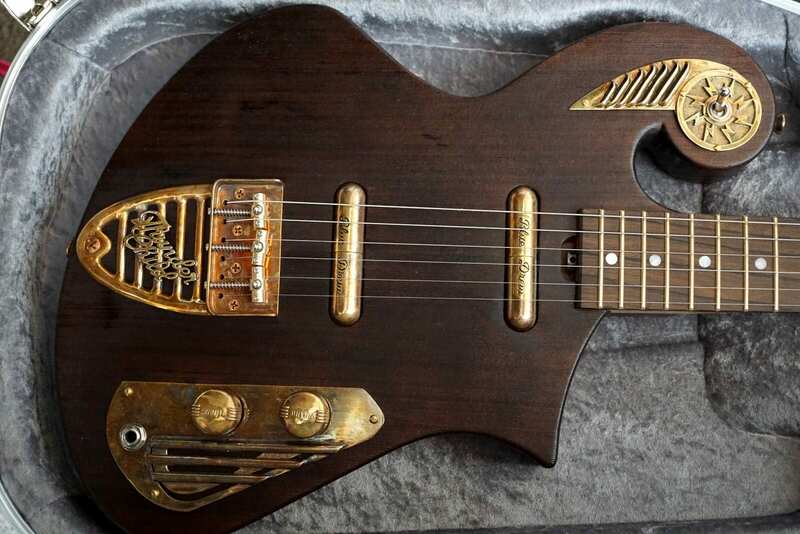 A Thunder Child Custom Guitar with custom specs. The client requested hand engraved pickup cover and an EVO Gold fret wire. The Beautiful implementation of the ancient Japanese Shou Sugi ban finish. 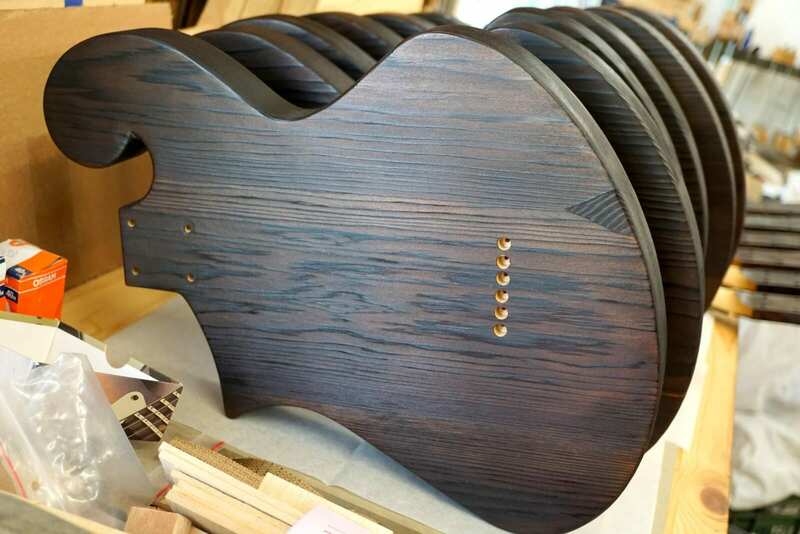 These Super lightweight cedar Thunder Child Custom Guitar bodies have a charred top with a few coats of oil. opened the door and I’ve found myself at a vintage guitar and amp heaven. As I waited he handed me an original 53′ Tele. I plugged it into an original Tweed Deluxe and expected to hear a choir of angels, but instead it sounded like another Tele. Nice, but nothing special. 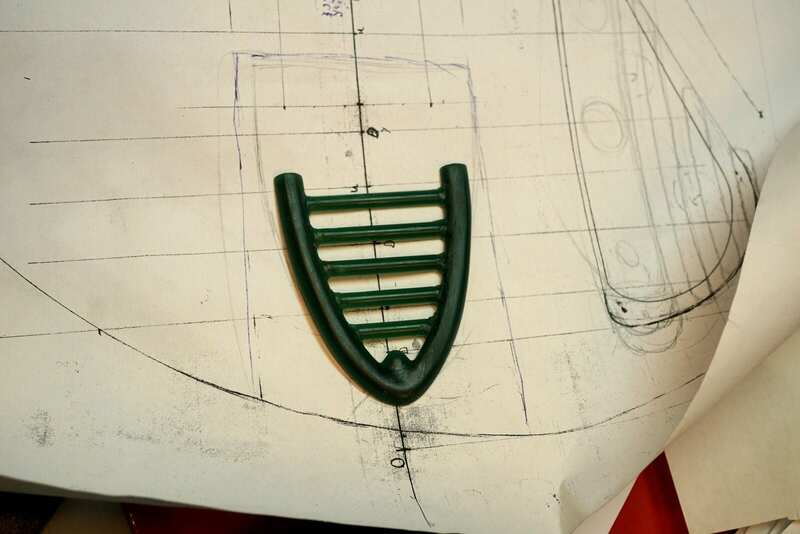 Creating our handmade hardware for our Thunder Child Handmade Guitar. Using the ancient lost wax technique for casting our handmade brass hardware. When I’ve arrived at my workshop I’ve made a list. I wrote down all the possible reasons that led me and other people to purchase an instrument. About 90% were a combination of nostalgia, myths, and marketing tricks. We buy a certain guitar because our guitar heroes used one because we are drawn to a certain brand that manufactured our dream guitar when we were young and couldn’t afford one, or because we believe in the existence of that “vintage tone” and try to recreate a specific sound. Hollow Body Aged Red cedar for our Super Lightweight Thunder Child Custom Guitar. Over the years I’ve found out that there are a few assumptions that are partially or completely wrong. The vintage guitar “myth”- the belief that an old instrument sounds better; while in reality, it was the way classic tracks were produced and these instruments were recorded. 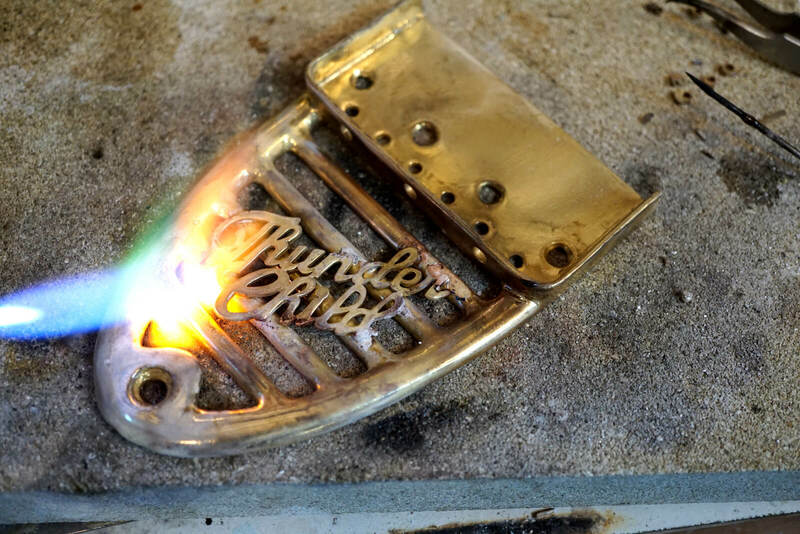 Soldering a brass tailpiece for our Thunder Child handmade guitar. Port Orford Cedar necks for our Thunder Child handmade guitars. So, when I came to design the Thunder Child I took all that away and decided to focus on the real thing that made some of these instruments great and create a formula. That is why every tiny nuance in this design was well thought out. The most important thing for me was the tone. The way it sounds. Unlike solid body guitars, we were looking for an added acoustic tone. Though the sound in an electric guitar is produced by an interference in the pickup’s magnetic field some of the acoustic qualities of the instrument will influence the way the string vibrates. 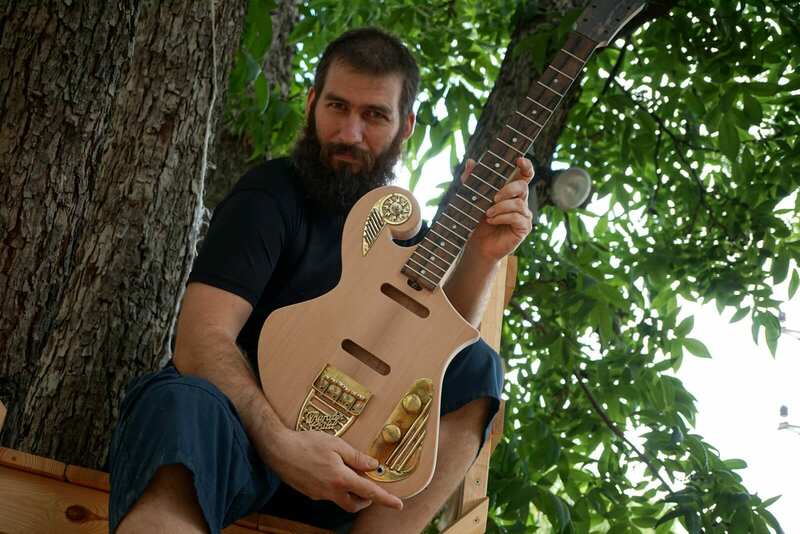 that is why all of our guitars are always hollow body or semi-hollow body instruments. 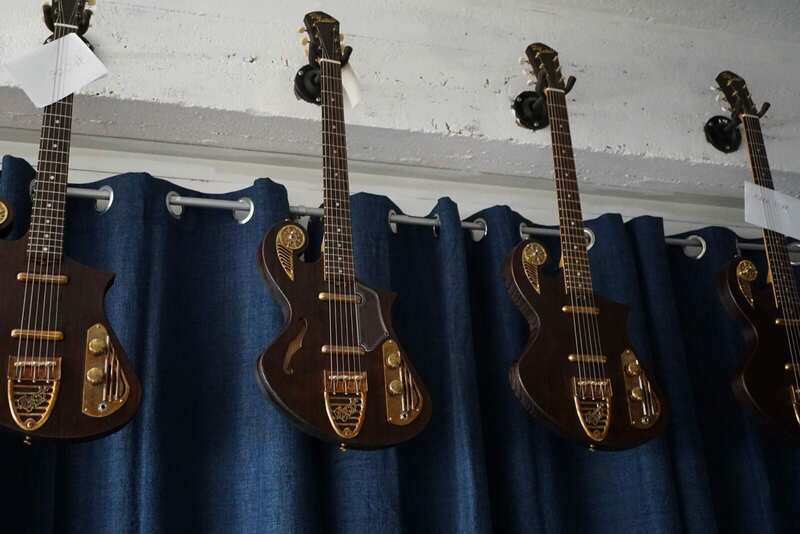 We’ve encountered players who while playing the guitar were actually looking for a reverb unit because of the huge open sound of these instruments. 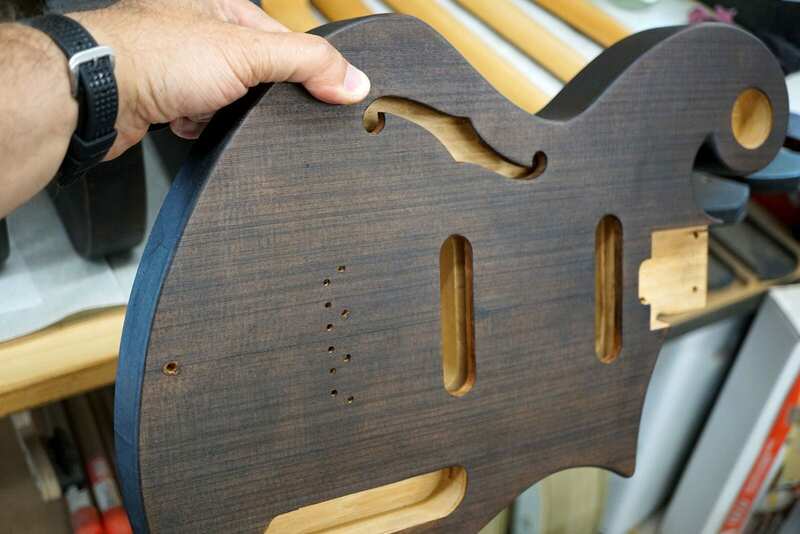 The bearded master examines all the parts and assembly of the Thunder Child Custom guitar before applying the Shou Sugi Ban finish. and instead of a thick shiny coat, with an inevitable “flamed maple”….we removed all the unnecessary wood filler and lacquer and used the ancient traditional Shou Sugi Ban technique. In this technique you actually scorch the top layer of the wood, clean it and finish it with a few layers of oil. That way you keep the natural look and feel of the wood and keep it as light and responsive as possible. This technique also enables us to expose the wood grain which as a result creates something that is similar to a great vintage acoustic guitar. 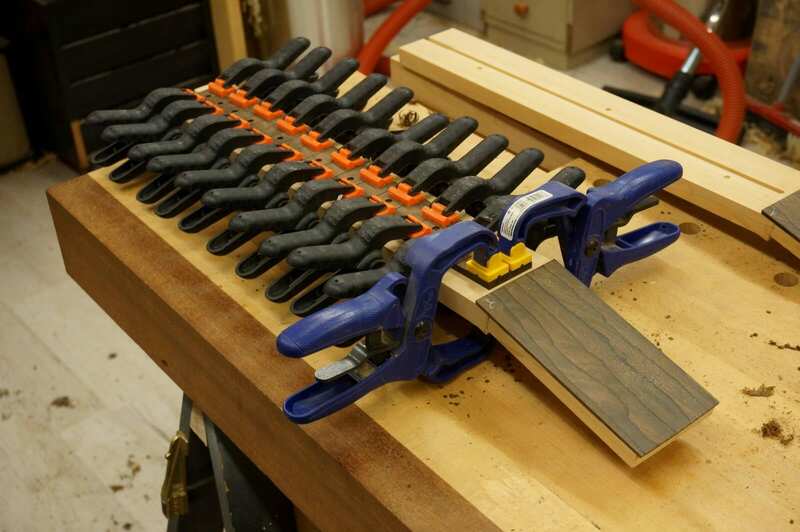 For the neck, we chose our favorite lightweight Port Orford cedar with a ziricote fretboard. Hand built to perfection. These are heirloom quality instruments. The particular sound we were looking for was the bell-like tone of a great electric guitar. 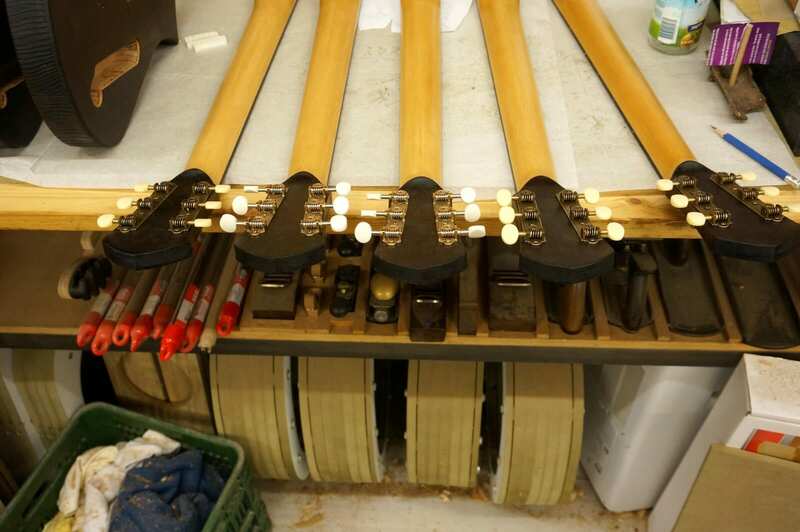 We experimented with different pickup locations, different pickups and different designs. 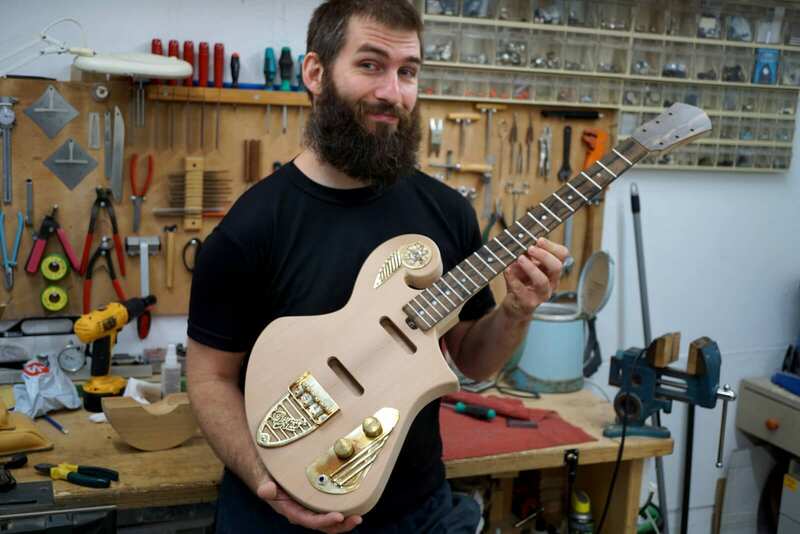 Eventually, we found the perfect formula which is a combination of a certain weight, our unique brass alloy for the hardware, scale length, types of wood, and of course the pickups. 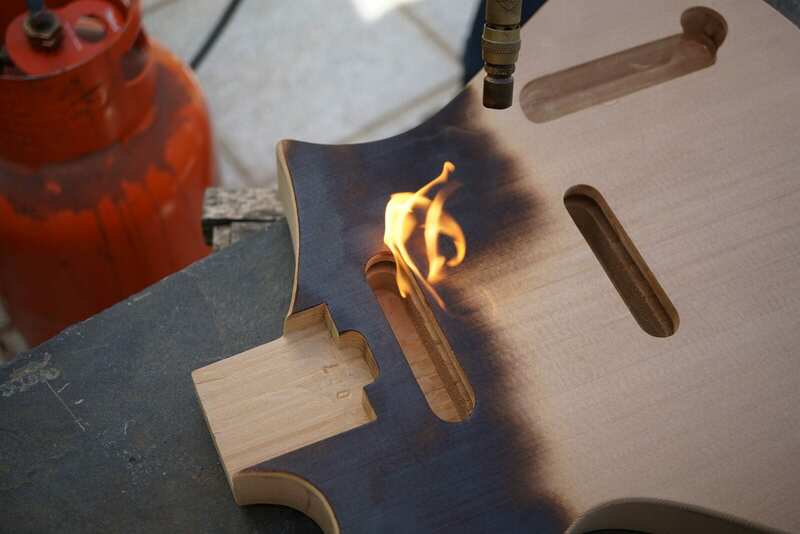 The Thunder Child Custom guitar before scorching the top. One of my favorite pickups is the original 1950’s lipstick with its simplistic design and great tone. It took us 6 months to find someone who can actually recreate the same pickups with the same specs. We’ve also experimented with different pickup output and discovered that the original 3.2-3.8k which is “weak” in modern terms sounded amazing. We offer the Thunder Child Custom guitar with our unique customization options such as hand engraved pickup covers. 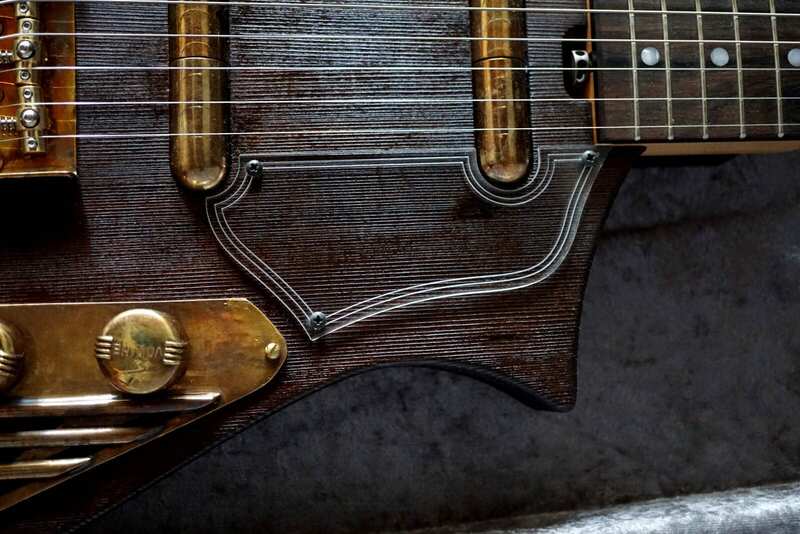 Some fine details on this Thunder Child handmade guitar. A triumph of tone and craftsmanship. 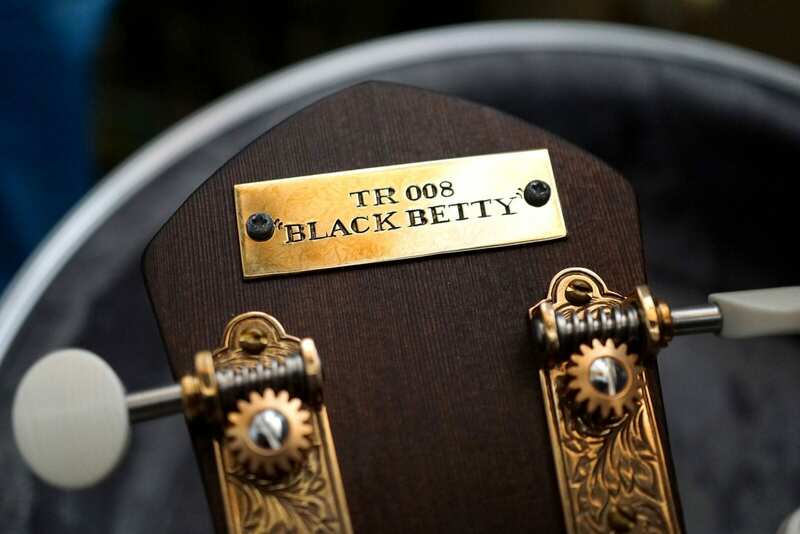 Our 008 Thunder Child was named "Black Betty" by the client. Part of our unique customization options. 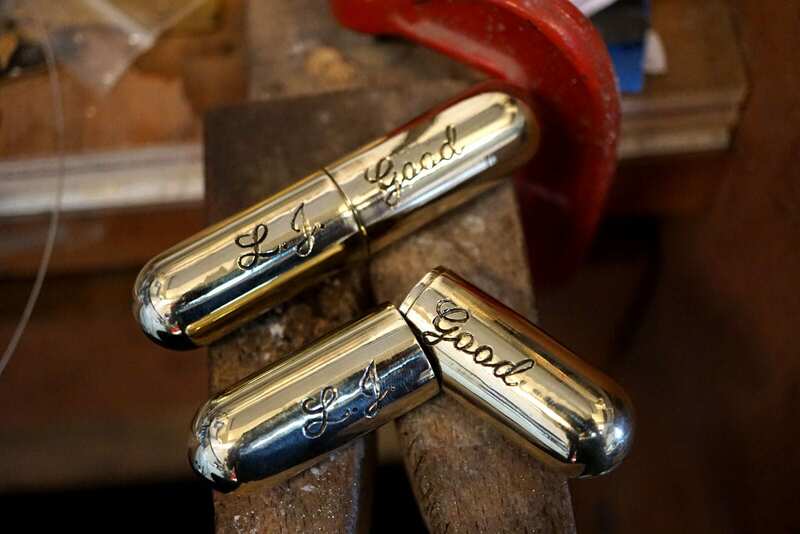 Our handmade brass engraved pickup covers for our Thunder Child Custom Guitar. The delicate process of the ancient Japanese 'Shou Sugi Ban" technique. 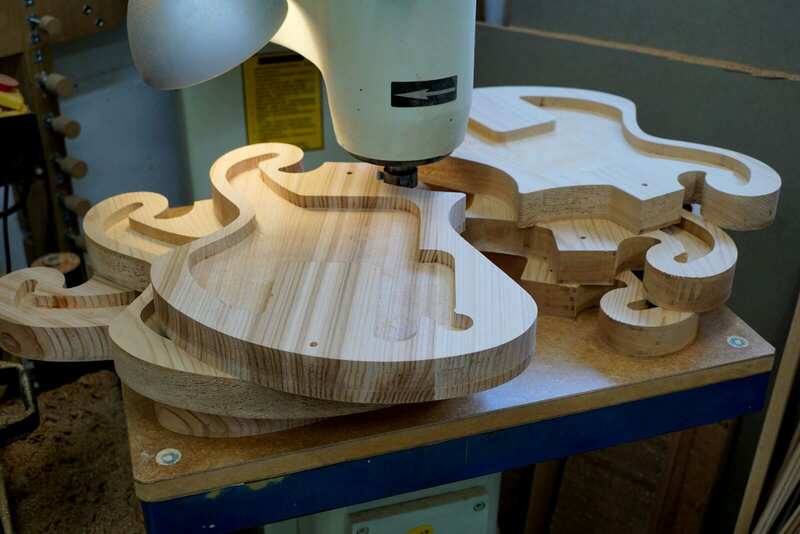 We use this process on all of our Thunder Child handmade guitars. The guitar itself enable one to obtain a huge tone pallet from clean bell-like acoustic tone to classic overdriven luscious notes, classic guitar tones from the 50’s ( think about Link Wray) to classic 60’s classic rock in the style of Rory Gallagher, early Zeppelin or the Stones. 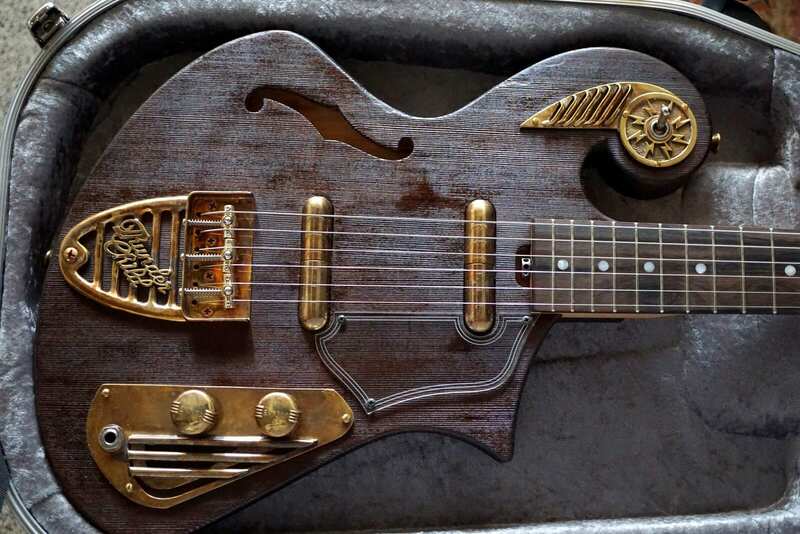 It is definitely not another 50’s replica and we see these instruments as sonic pieces of art. We hope that these instruments will become your lifelong companion. 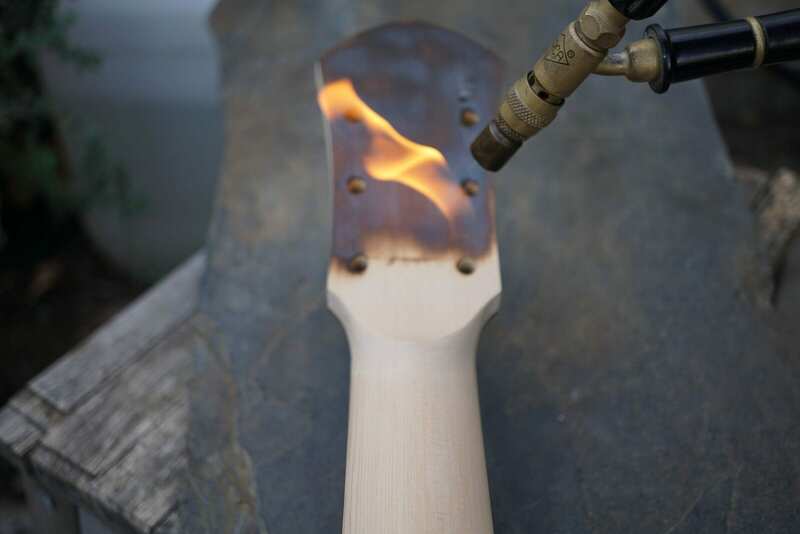 Applying the Shou Sugi ban technique on the headstock of this Thunder Child handmade guitar.